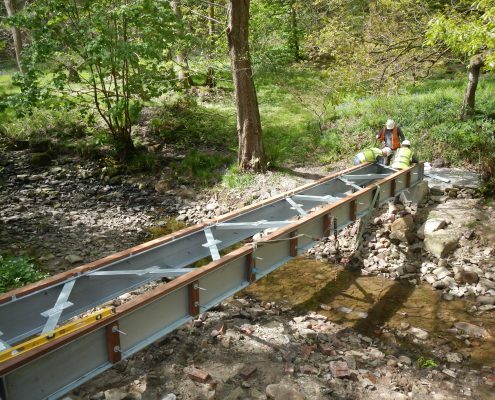 Conservefor, a specialist footbridge construction contractor were recently appointed by Captia to install a new foot bridge in Darwen, Lancashire. 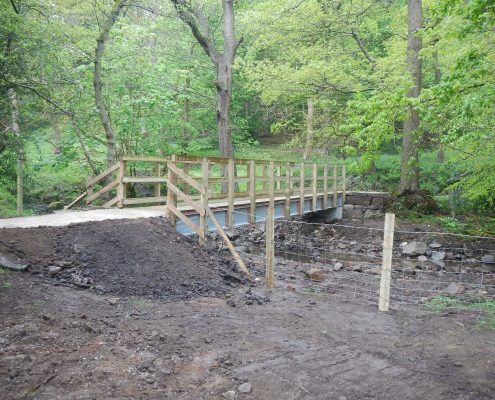 The original bridge was destroyed by high water levels during the winter storms of 2015. 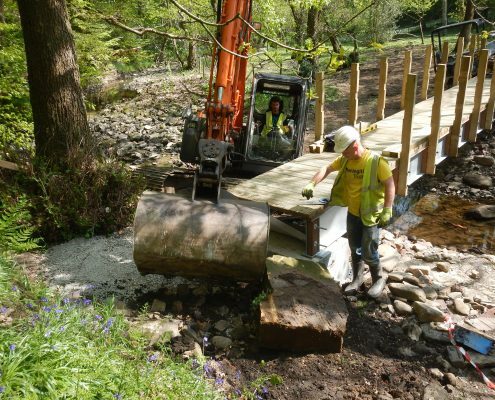 We deployed our highly experienced team of bridge builders with a 7 tonne 360 excavator, 6 tonne wheeled dumper and required power tools to begin construction of the new bridge. 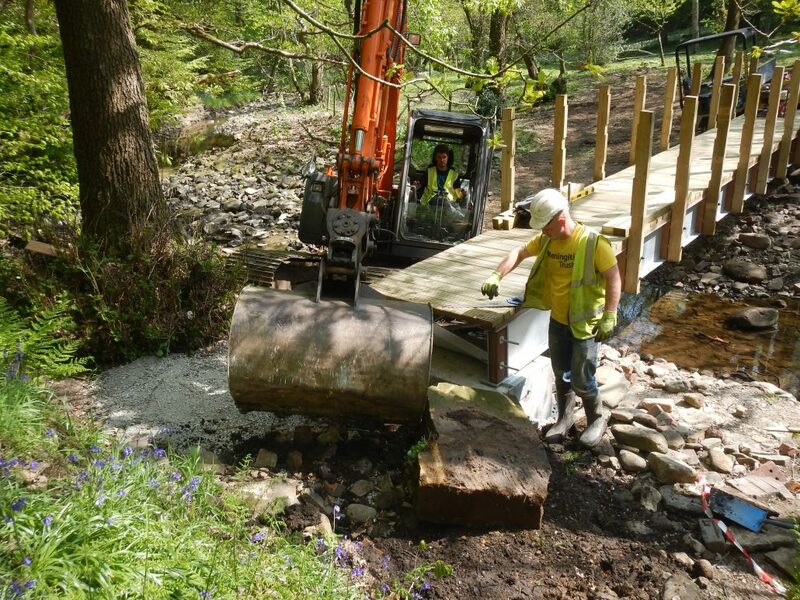 As an experienced footbridge construction contractor, we quickly identified that the river experienced extremely high water levels due to a reservoir outlet just up stream. 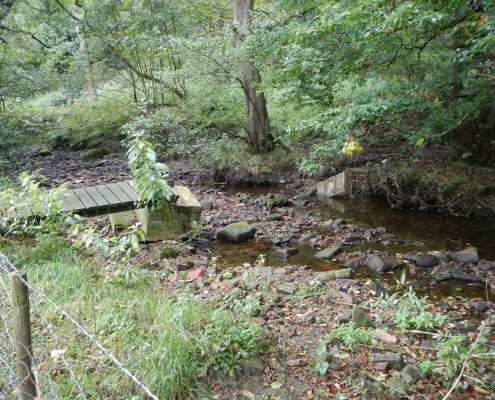 Due to this the new bridge would need to be substantially higher and be secured further from the river to ensure no further damage would occur. Our bridge construction team began by installing two concrete abutments to secure the bridge. 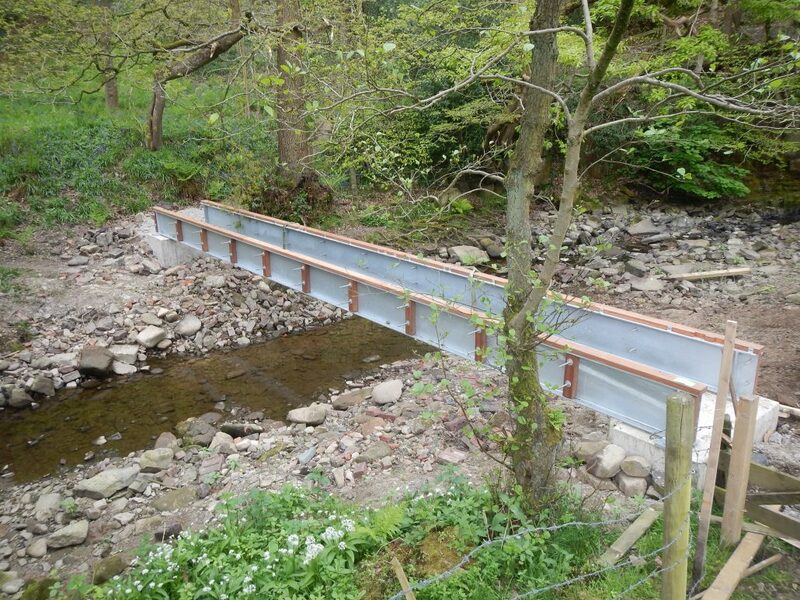 These upgraded abutments would be sunk 3 metres into the river banking to provide a secure base for the bridge. 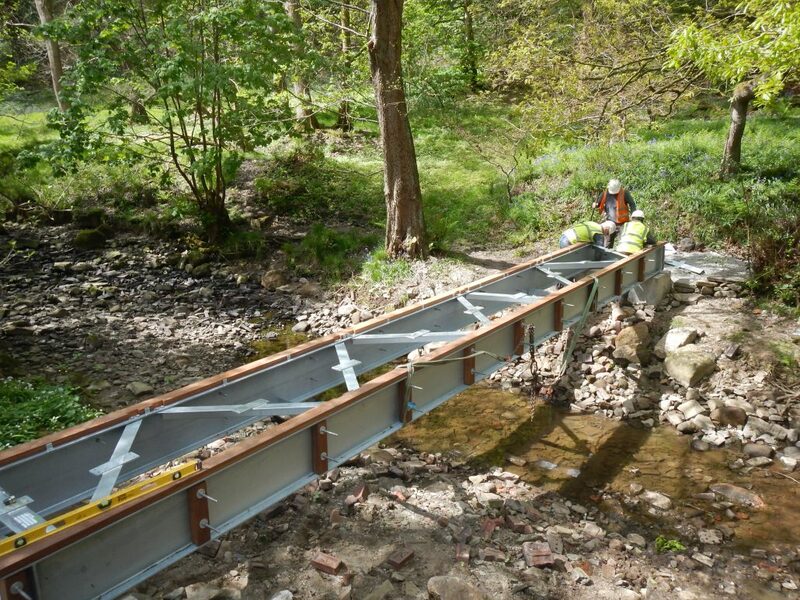 Our team then installed a new 11 metre bridge with a strong steel girder frame. 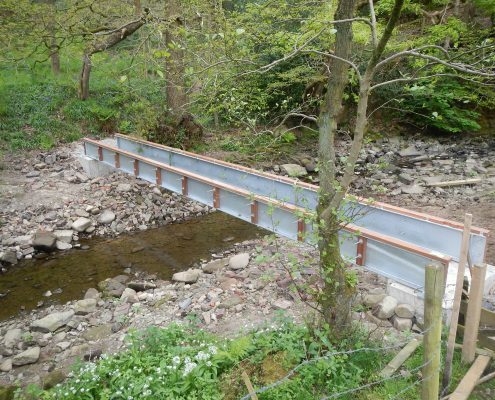 Once this frame was secured to the abutments, wooden hand rails, cladding and decking boards were fixed to the steel structure to complete the bridge. 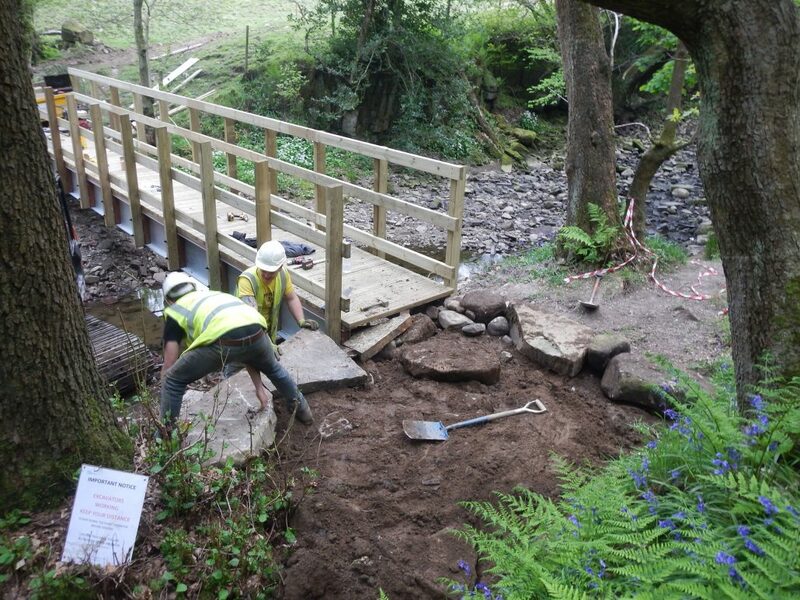 Next our trail builders set to work constructing an access trail to either end of the bridge. 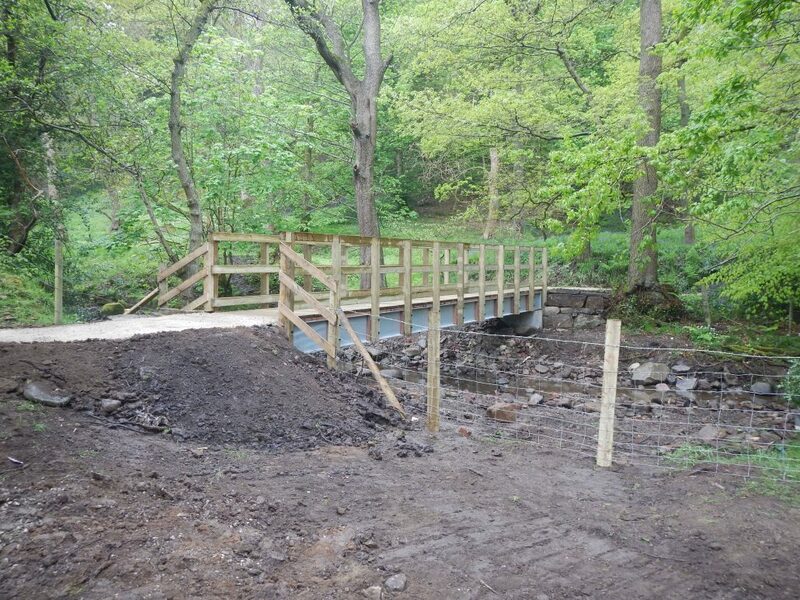 Our experience as a footbridge construction contractor helped us to identify areas of the riverbank, on which this trail would pass, that were likely to experience erosion caused during periods of high water. 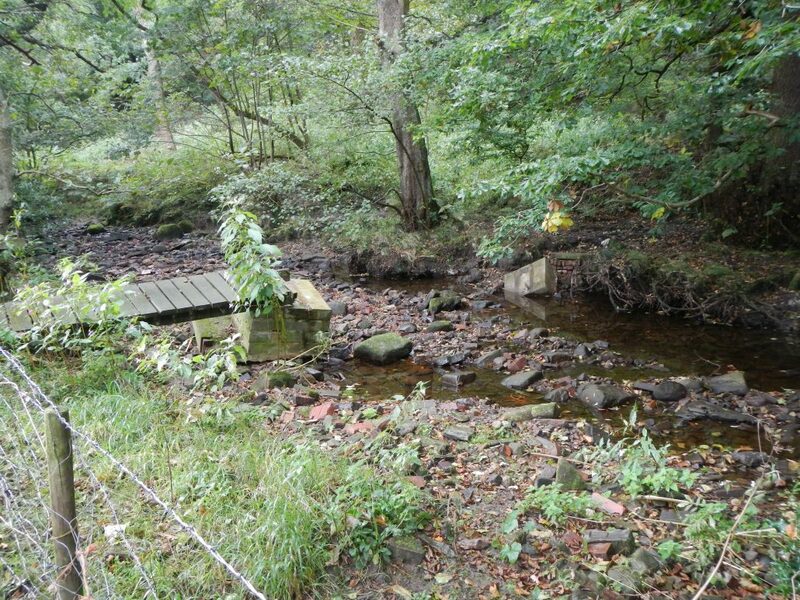 As a consequence we decided to construct a section of stone revetment under the new trail to protect against this. 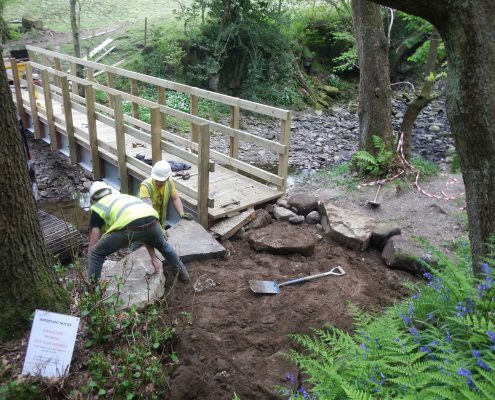 Once work had been completed on the bridge, trails and river bank our team installed new post and rail fencing along the river bank to ensure the fields bordering the river would be secure when containing livestock.